Application: Poultry, green houses, industrial cooling, all pad fan cooling system. Thickness - 100mm, 150mmIt is useful to decrease temprature from High Level to lower Level. 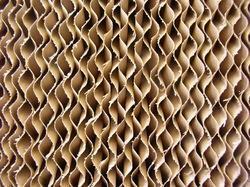 Devcool evaporative cooling pads is made of fluted cellulose sheet those are glued together. Cellulose sheet is treated with unique ingredients to achieve high cooling efficiency & degradation resistance. 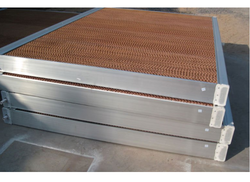 We are offering Poultry Cooling Pad to our client. We are engaged in providing the best quality range of Evaporative Cooling Pad.